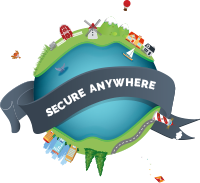 There are many Windows Antivirus programs available, but SecureAnywhere is the fastest and won't slow down your computer or annoy you with popups. "It installs in a flash, doesn't require signature updates, scans much more quickly, and takes a ridiculously small amount of space on disk. On top of that...an impressive protection job."